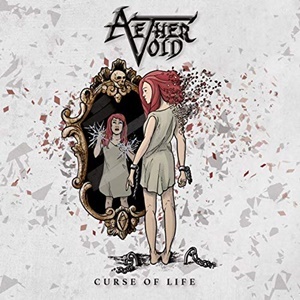 Forming from the dissolved No Way Out, Aether Void began in the fall of 2017, going into more of a classic meets modern heavy metal platform on this debut full-length Curse of Life. Gaining two members in Salvatore De Matteo on vocals and Nicolo Bondioli on lead guitar, these Italians modified their rougher stance as they could now approach more melodic and harmony-driven terrain. 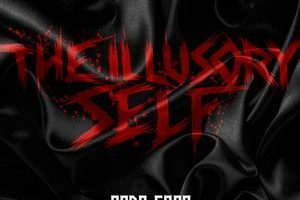 After a few spins, there are numerous positive aspects to discuss as well as a few negatives that make this eleven-track record a bit bumpy and uneven, which is to be expected on a first foray / new lineup. Salvatore possesses a rich, vibrant tone to his vocals – especially in a mid-range comfort zone that allows him to be touching and poignant in an understated, almost gothic aspect during the semi-ballad “One Last Dawn” that has a bit of a modern rock meets Evergrey flair to it. Bassist Davide Brusini leads the musical charge for “Faithless Crusade”, the gang chorus supplementation giving a back and forth trade-off against some of the Iron Maiden-like riffing and part to part delivery. Disappointment lies in the sprinkler system-type snare tone throughout the record – most metalheads want more punch or snap to their recordings. 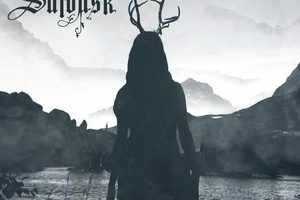 At other points the band goes for a mix of driving power riffs and classic twists – it’s hard not to be headbanging and bouncing along to the guitar/drum interplay within “Misleading Promises”, even as the band switches between calmer, atmospheric-like verses and the heavier, Iced Earth / Judas Priest-ish riff action. 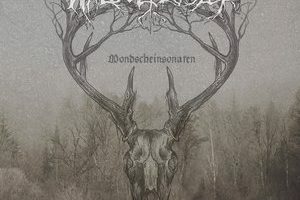 The good at this point outweighs the areas that need improvement – because most metal followers will instantly gravitate to the Morgana Lefay-like propulsion for “Golden Blood” as well as the uplifting guitar harmonies and melodies within “The Eternal City”.